FLUO TP is the most fluorescent and the most visible marker on the market. 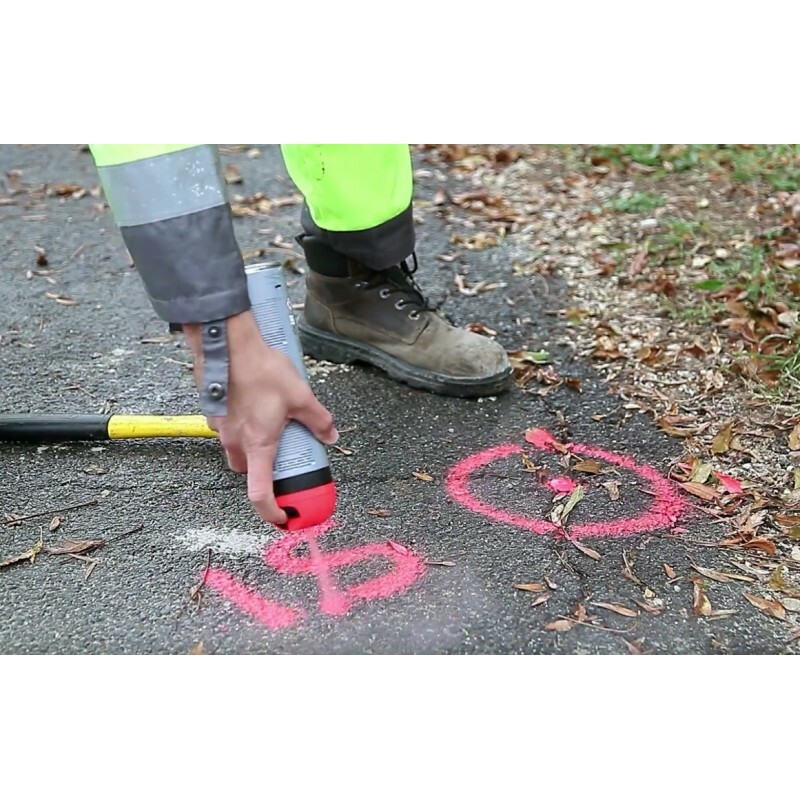 This neon marking spray paint is particularly popular with workers for identification marking and setting-out, it is also used for all general civil engineering works: roads, earthworks, pipework and construction, buried networks. 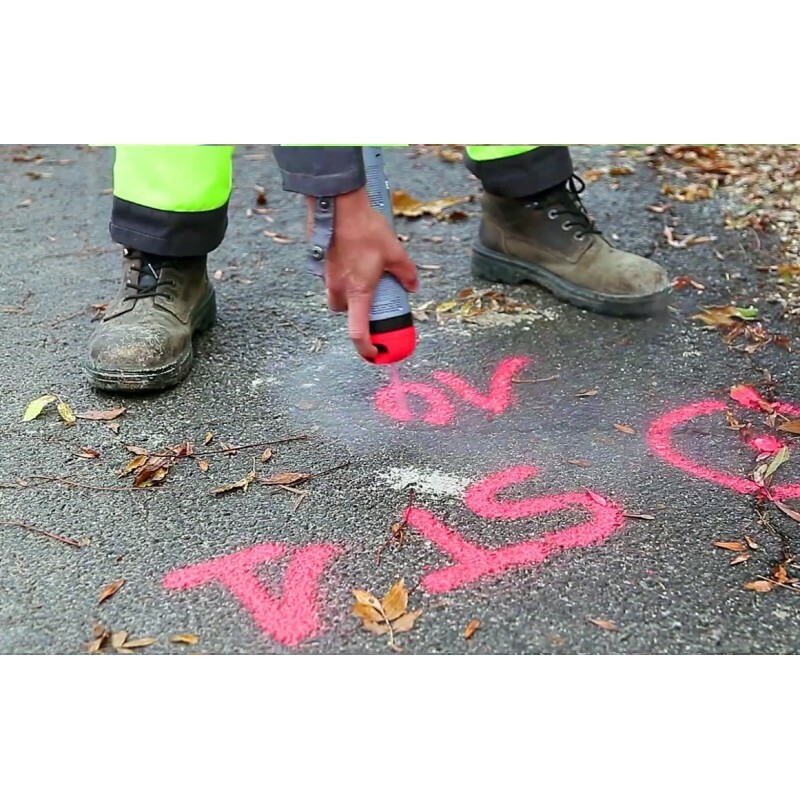 Easy and safe to use, FLUO TP® is fitted with the patented Soppec «TP» safety spray cap. 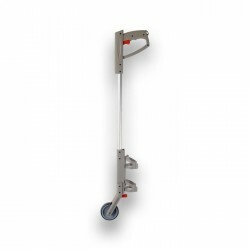 • Usable on a very wide range of surfaces: concrete, asphalt, grass, gravel, sand, stone, wood. 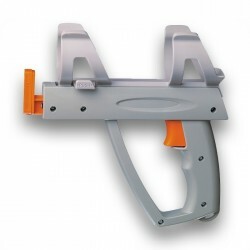 • Fast drying: ≈ 10 min. 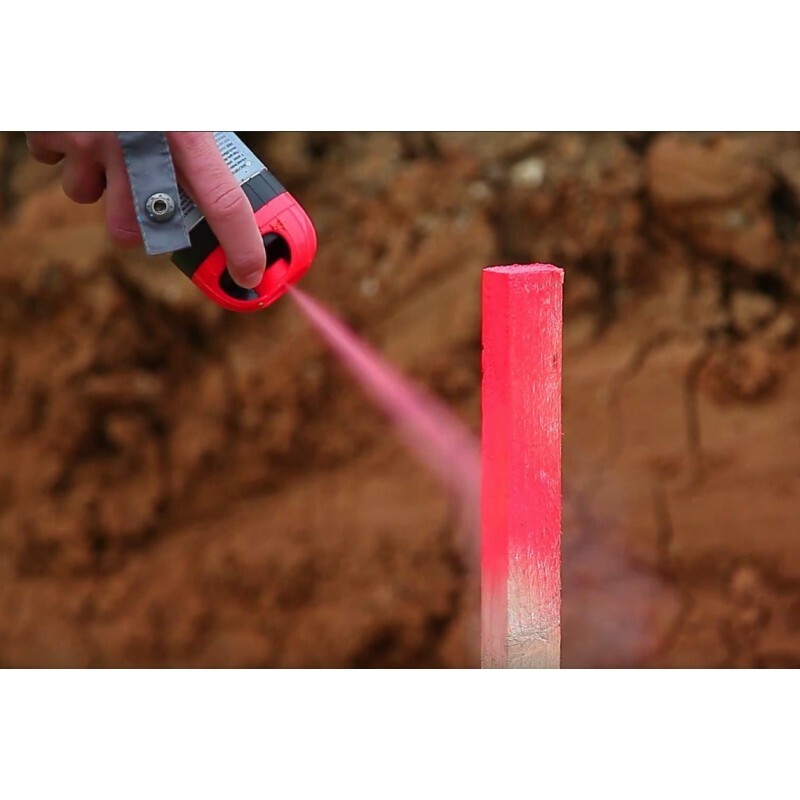 • Very good autonomy and coverage ability: 1 aerosol is sufficient to durably mark an 80m line (2cm wide) using the Soppec marking stick. 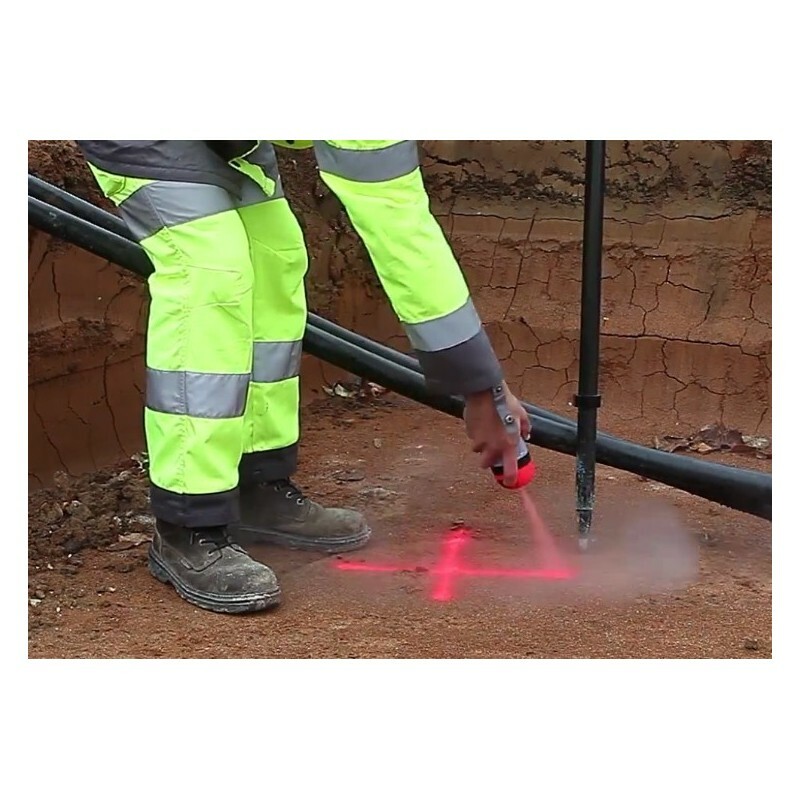 • High marking duration including on damp surfaces, of up to 12 months (dependent on the surface, the conditions of application and UV exposure). • Temperature range: -20°C to 50°C. 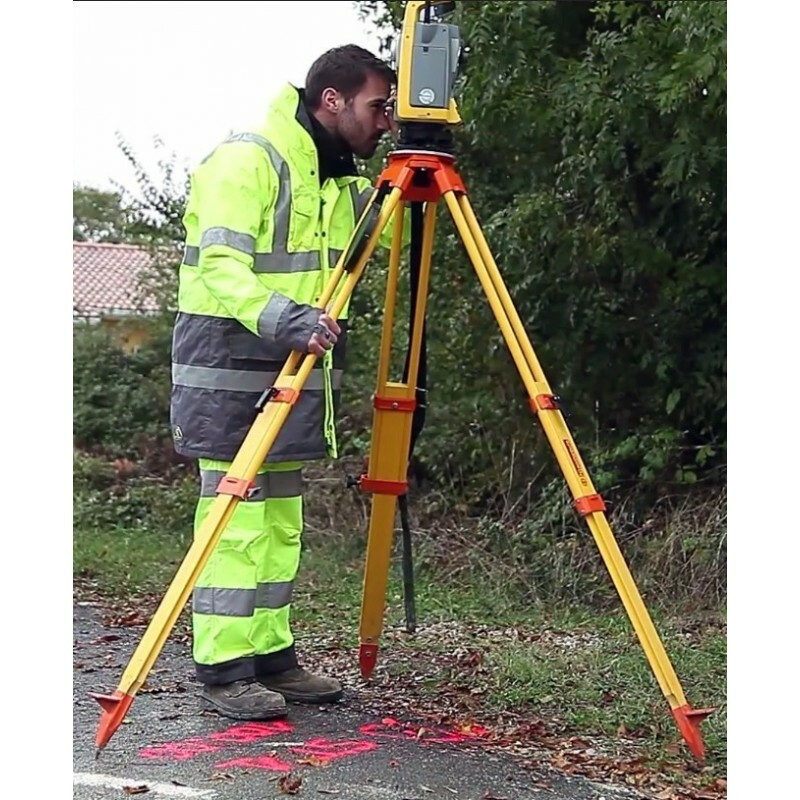 Fluo TP is available in a wide range of colours.